No. 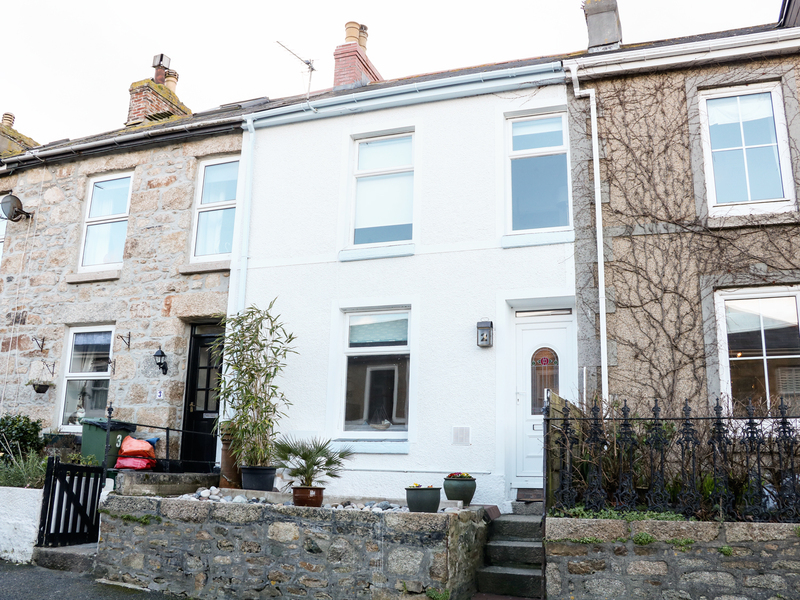 2 Belgravia is a terraced cottage situated in the town of Penzance in Cornwall. With two bedrooms; namely a double and a single room, as well as a family bathroom, the property can sleep three people. Also inside you will discover an open-plan living area with a kitchen, a dining area and a sitting area with a woodburning stove. To the outside there is roadside parking in the nearby area and a rear enclosed courtyard with a table and chairs. No. 2 Belgravia is a charming cottage in a lovely coastal location. Gas central heating, woodburning stove. Electric oven, gas hob, microwave, fridge/freezer, washing machine, TV with Freeview, WiFi. Fuel, power and starter pack inc. in rent. Bed linen and towels inc. in rent. Stairgate, highchair and travel cot available on request. Roadside parking on roads around property. Rear enclosed courtyard with furniture. One well-behaved pet welcome. Sorry, no smoking. Shop and pub 5 minute walk. Note: Four steps up to property.